Even when cost isn’t a major factor, IT departments have a backlog of requests from the students, faculty and administration they support. In the face of these challenges, education technology is expected to meet the needs of geographically distributed students and faculty. Education is being transformed by companies like Coursera and Udacity. These organizations often partner with nationally recognized universities such as Stanford and Princeton to enable students across the world to participate virtually in the classroom. Meanwhile faculty and industry experts are collaborating across the globe on new science and research. As teams become more and more dispersed, effective collaboration can be a challenge. Educators need simple but effective solutions that facilitate collaboration while not taxing overwhelmed IT departments. This is why Teambox is seeing exponential growth in the education sector. What makes Teambox so appealing? Universities across the world tell us:. Teambox helps a wide range of users – Universities use our product in the classroom, in administrator offices, and in the maintenance shop. 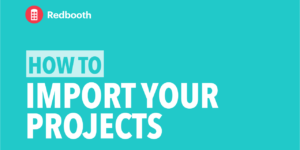 It’s easy and flexible enough to support a wide range of collaboration needs including project management, online discussions, and shared files and notes. We’re easy to set up – With Teambox, everything is stored securely in the cloud and accessible anywhere. In-house IT staff don’t need to worry about installing, hosting, and maintaining another piece of software or backing-up user data. (Teambox also offers an on-premise solution for schools who prefer to keep systems behind their own firewall). We’re easy to use – Our user interface is simple-to-use and intuitive. In addition Teambox easily integrates with popular applications like Google Drive and Dropbox. We help you on the go – Teambox works with your iPhone, iPad and soon Android. As education becomes increasingly global, many are turning to Teambox to streamline their workflow and improve efficiency. We’re excited to be a partner with many world-recognized universities to help train our next generation of leaders. If you’re a university or educational institution using Teambox, we’d love to hear your story. If not you’re not yet using Teambox, please contact us at sales@teambox.com to discuss how we can help you.